Very interesting. 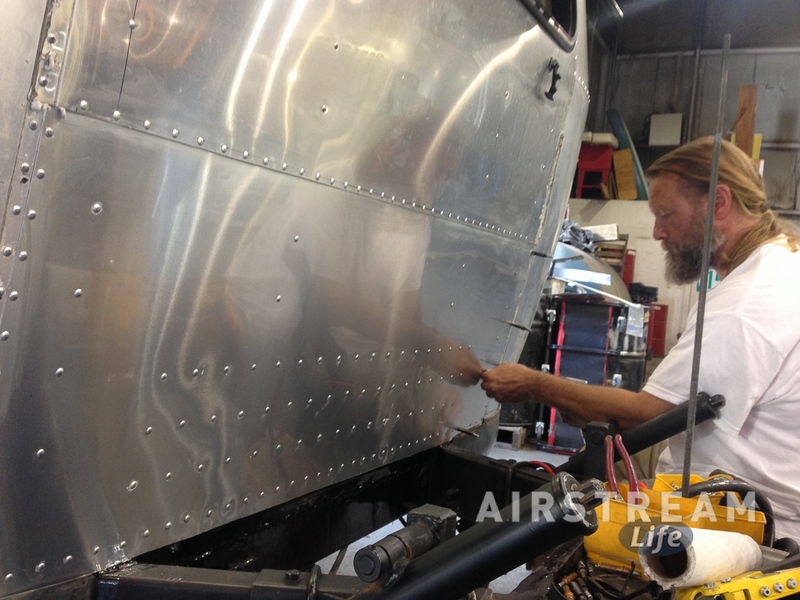 I remember Colin discussing on VAP the steel front plate that was part of the design on many vintage Airstreams. My 66 has it, my 86 does not. My 86 has a stress crack radiating from the street side battery compartment. I have tried to insure the front of the body is well attached to the C channel. 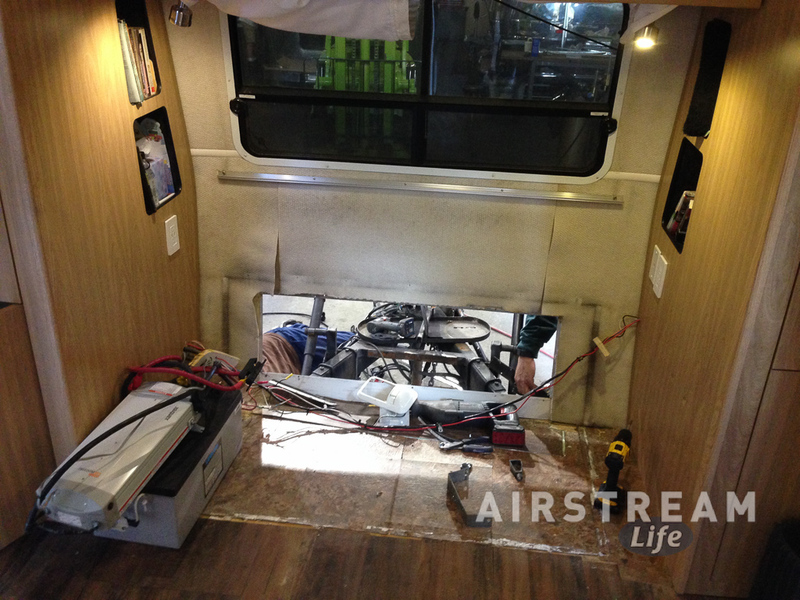 I certainly agree a big square cornered hatch in the front of the Airstream was not a good idea. 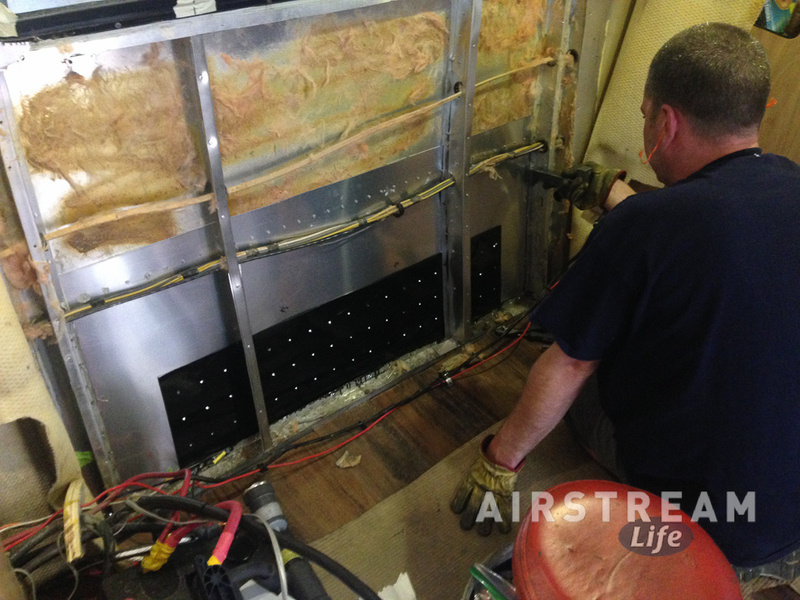 You will sleep better knowing you made this huge improvement to your Airstream. Don’t let Colin see those cracks! Nice modification! A lot of work, but the trailer will last a lot longer for it. 1. Battery gasses vent into the storage area, and then the bedroom? 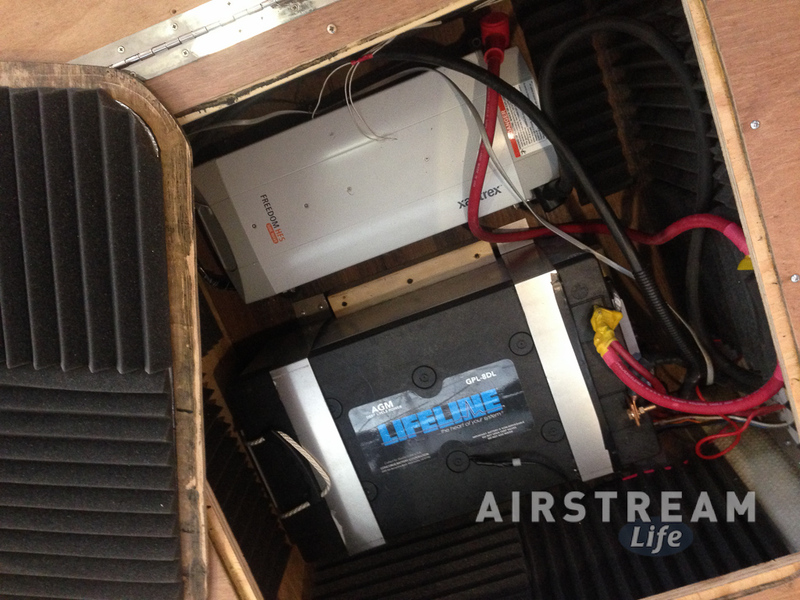 Your batteries are probably “sealed”, but that is only true if nothing goes wrong. 2. 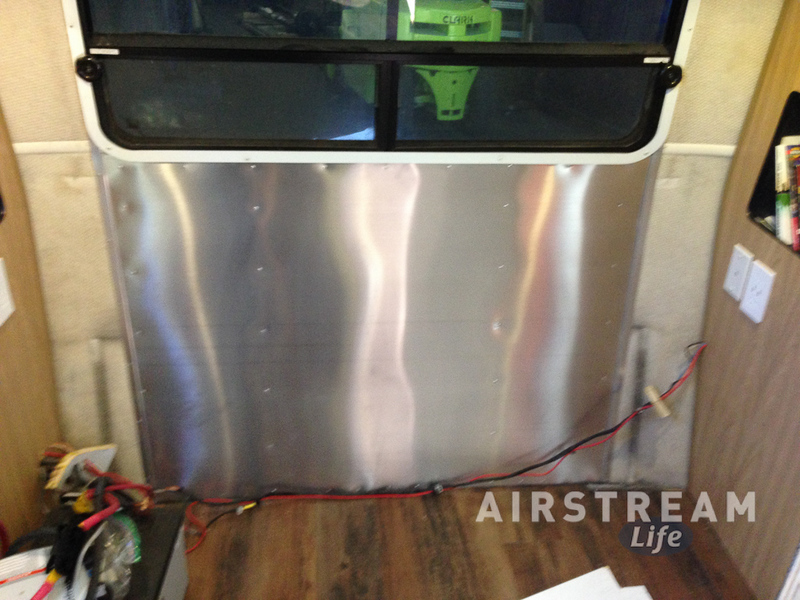 Is it possible to inspect the joints where the original aluminum ribs around the front of the trailer attach to the steel frame? You didn’t mention repairs to those connections. Maybe they are too hard to access? 3. 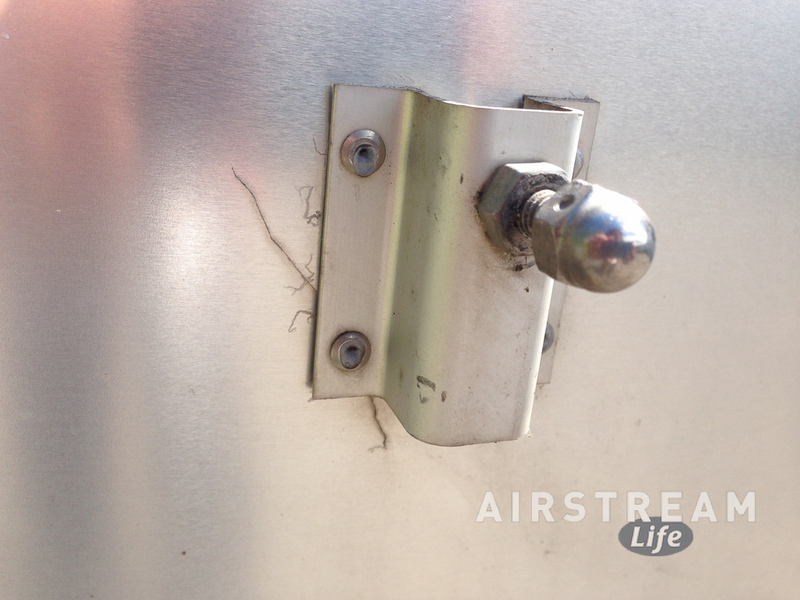 Do Airstream trailers use any techniques to minimize galvanic corrosion? 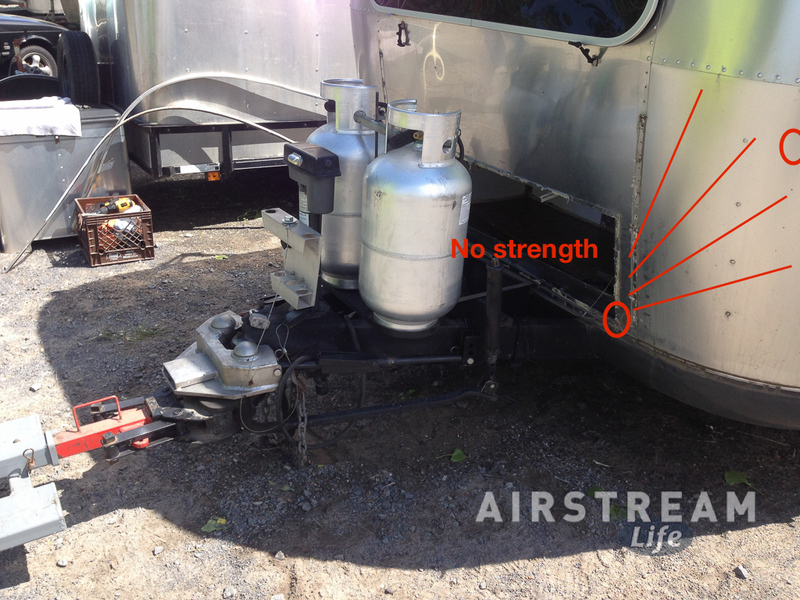 Or in practice, is it enough to not tow an Airstream much on salted roadways? 1. We use an AGM battery, which does not produce hydrogen gas under normal conditions. 2. The aluminum ribs don’t connect to the steel frame. 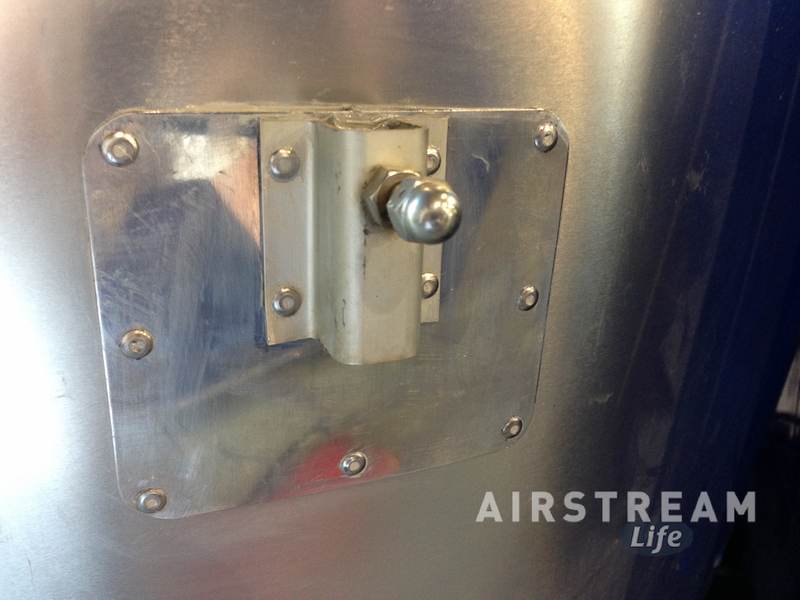 They connect only to a C-channel at the bottom which attaches to the frame with bolts. 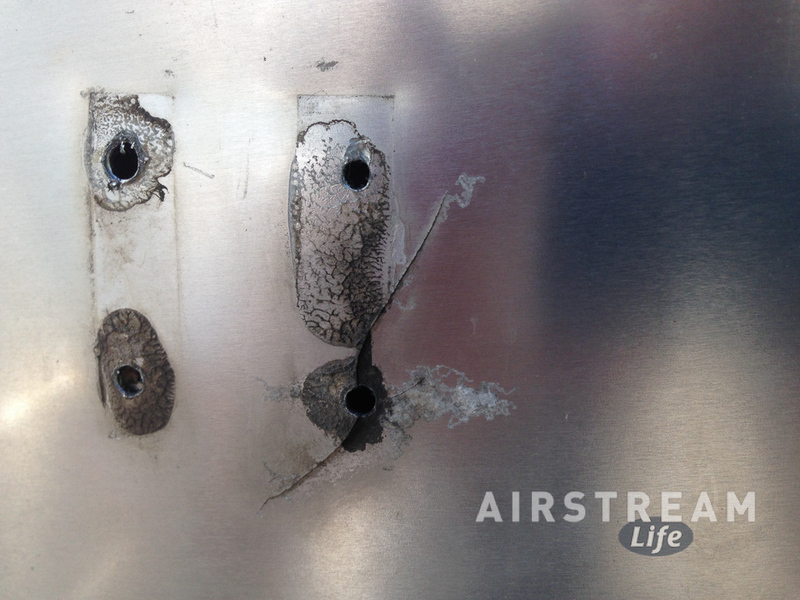 This is available for inspection when interior panel is removed, so yes, we did that. 3. 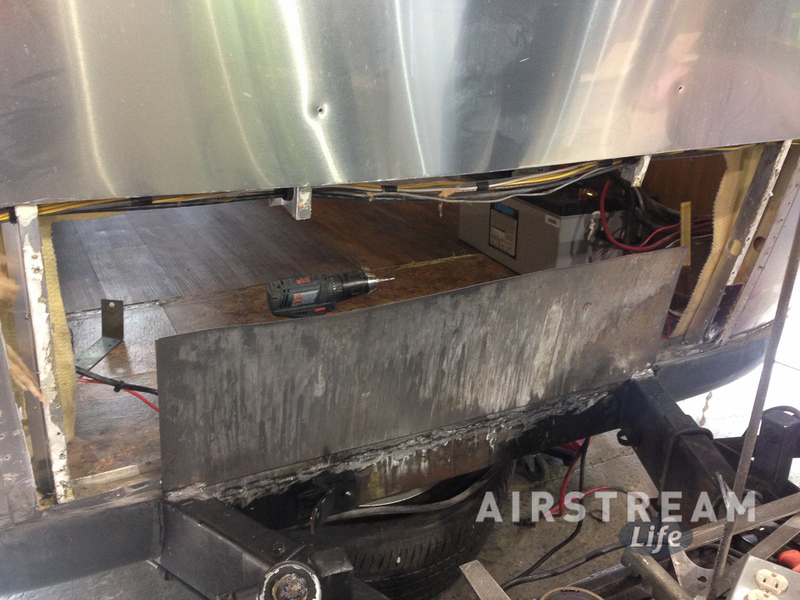 Galvanic corrosion is not a big issue except on the belly pan where it is riveted to the frame. 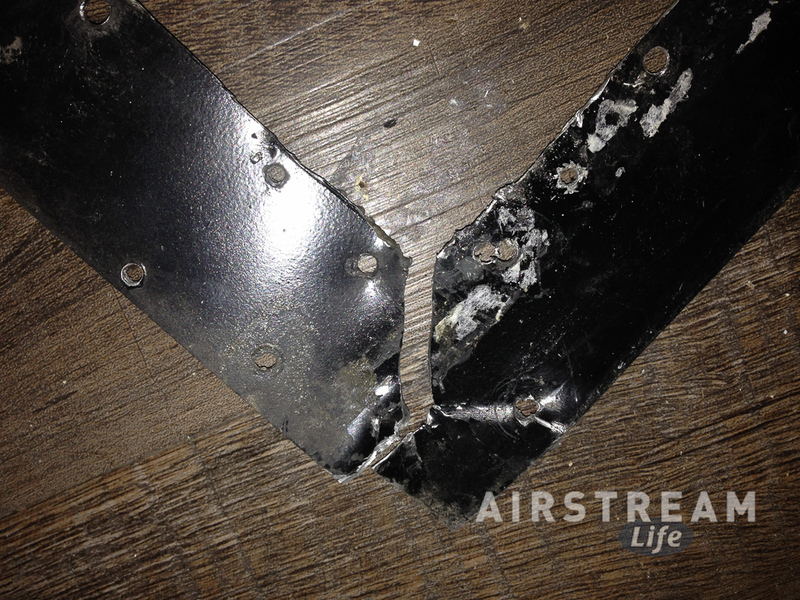 Belly pan repair and/or replacement is an eventual certainty but it can last for decades. I have a mid year 05 Bunkhouse (built late 04) that I bought new. I have 104k towing miles and glad I did the front hatch delete while I was in the 2 year warranty. I had it reskinned by local dealer which it ripped quickly, then I had it up to Jackson Center where they added ribs like you did and reskinned again. No problems for 9 years now (wow time flies). Square corners are the issue. 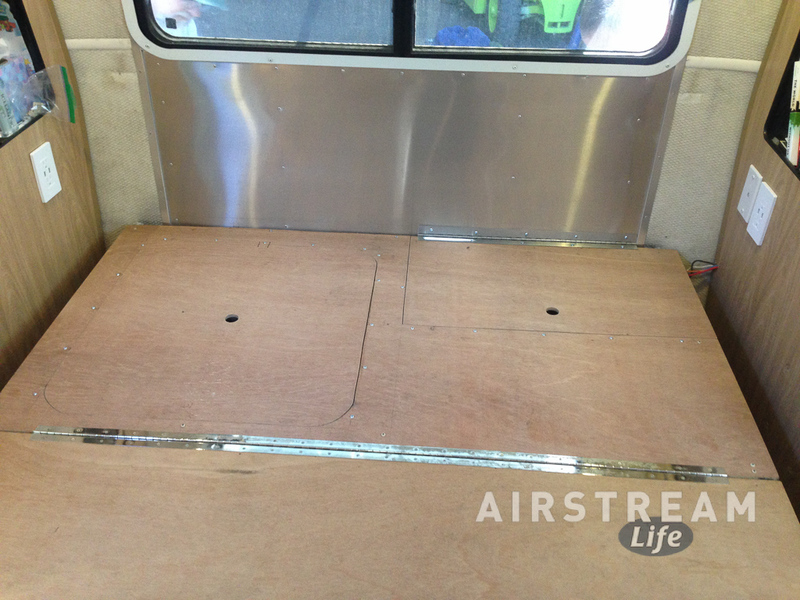 You can add the struts to the bed frame if you want to have full access under there like the newer units. I am at peace when it rains now!